We just had the grading that I mentioned in my previous post and as with all examinations there were euphoric successes and disappointed failures. From my side of the judges table the most impressive part of the day was the attitude of everyone who took part. Those who passed did so with modesty and those who failed did so with the determination to train hard for the next opportunity. Within the constraints of the time I had, I tried to give feedback to everyone who asked for it. But for those I missed here are some general points. For ikkyu and shodan, everyone went for it. There was no problem with staged , ”you hit me then I hit you” performances that I mentioned in previous posts. The most common criticism from the panel was “incorrect cutting” which in most cases meant that the hands finished too low and the monouchi was at too steep an angle so that it hit the mengane rather than the top of the men. There were also a number of people who did not lift the shinai enough to hit correctly.` The remedy is more suburi and uchikomi geiko. Nidan and sandan mostly failed on timing and opportunity. I am sure that many of the candidates had developed their technique to a pass level, but unless they were able to make or take the opportunity to make a clear strike, there was no way to show the judges that ability. To train for your next grading, think about the opportunities to strike, such as when your opponent initiates his attack or steps back. or visibly breathes in. Also consider ways to break his physical and mental kamae. Don’t just save these for jigeiko, incorporate them in your drill regime. Yondan and Godan – Seme and tame were what let many people down. You need to demonstrate that you are controlling your opponent throughout the tachiai. You need to break his or her centre and take your own ideal maai. If you can see an opening when you do this then immediately strike the target. If his kamae stops you from doing this then keep control and hold your breath in your abdomen until he starts to move, then strike. You can encourage him to do this by slightly moving the point of the shinai or slightly moving your front foot forwards. Or as Chiba sensei advised, just slightly bend your forward knee. Incorporate seme into your kihon drills. For everyone, pass or fail, a little more kata practice would not be wasted. So congratulations or gambatte kudasai, but please keep going. I practice regularly with people who are training to achieve 4th, 5th and 6th dan and I am often asked for my opinion on what they need to change to effectively make the step up. Most of these students can demonstrate good technique and footwork and given clear opportunities can make effective waza. Often though the element they need to work-on is more internal than external. Nearly all kenshi are familiar with the term kamae, meaning posture. Fewer of us are aware of ki-gamae, which the ZNKR’s kendo dictionary describes as “the state where one’s whole body is alert and ready to react to the moves of the opponent’s body and mind that precede a strike”. Whilst this may sound unnecessarily complicated as a concept, in reality it is simple. A cat looking for the best opportunity to pounce on a mouse does not intellectualize the process; she just strains every sense to find the perfect opportunity to attack. Ki-gamae is a state of being both calm and settled and having a heightened perception of your opponent’s intention, and being in a position where you can strike in an instant. We can’t achieve this by strength of mind alone. We need to have good footwork, constantly bringing the left foot up to the correct position as we move forward, and even more importantly we should have the ability to control our breathing so that we are able to exhale at the point of attack. We have discussed this before, but the general outline is that we breathe in through the nose and hold our breath by tensing the abdomen. We then expel part of the air as kakegoe and then use the remainder of that breath to explode on making the strike. If the opportunity to attack is not instant we need to retain the breath until we see the chance to strike (tame). Obviously ki-gamae is not reserved for grading examinations and shiai, we should be in this state of awareness every time we visit the dojo and in each keiko from the opening to the closing rei. By keiko I also mean kihon-geiko, so every drill should be undertaken with full spirit. In this way we make strong ki-gamae an integral part of our kendo. Given enough practice ki-gamae and ki-zeme move from being terms in the kendo dictionary and become as natural to us as they would to the cat looking for dinner. A friend recently mentioned that he was giving up shiai to concentrate on getting his kendo to a level where he could confidently try for 6th dan. This made me reflect on just how compatible success in shiai was with developing high grade kendo. 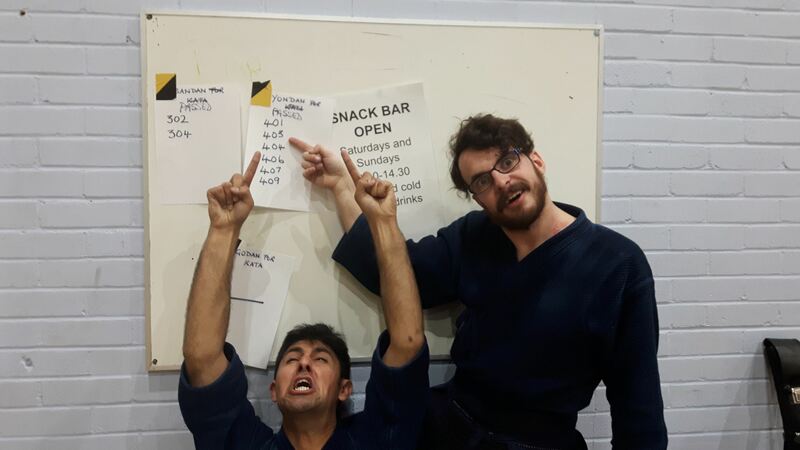 Conventional wisdom says that keiko, shiai and tachiai for grading examinations should be the same, and at the highest level of kendo this is true. Watch the All Japan 8th dan Championship and you will see some truly impressive shiai that nevertheless keeps to the fundamentals. 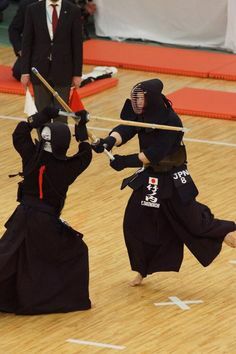 At lower levels, and I include the World Kendo Championships and the All Japan Championships, some athletes adapt their kendo to a much more defensive style, using the shinai to block overhead or holding it in front at head height extended downwards. Obviously national pride and the prospect of a secure job make the occasional bit of ducking and diving forgivable, but is it kendo? In more basic terms the answer is to keep a good kamae and an unfettered mind without preconception of what you or your opponent might do. You should push for openings and then react to them, or whatever might come in their place, rather than rigidly defend throughout your five minute tachiai. Another opportunity to watch kendo that embodies the basic principles is at the annual Kyoto enbu taikai where the good and great are responsible for showing their best kendo. It is particularly interesting to watch some of the older 8th dans. I have seen occasions where one or two of these highly skilled kenshi have acknowledged “mairimashita” to a point before it was made, because their experience tells them that their opponent’s seme was strong enough to make the following ippon inevitable. Perhaps though it is easier to be gracious when the stakes are the bill for lunch or a few beers rather than a job promotion or a new car. Even though I am due to take my first non-kendo break of the year next week. It feels like summer is over and we are back up and running with the autumn kendo schedule. As part of this I sat on the panel for the UK’s only annual grading to 5th dan on Saturday. We were lucky enough to have Sumi sensei head the panel which consisted of another hachidan, Tashiro sensei, and 4 7th dan examiners. Although we don’t look at each other’s marks, when the result papers came back in time for the kata section; it looked like our votes where almost unanimous. Unfortunately cut-off time for the hall booking did not allow us to give feedback to the many people who asked for it, but for the people trying for third dan and above that I spoke to and the those that I overheard the other panellists advise, the cause of failure was almost identical – the lack of seme. 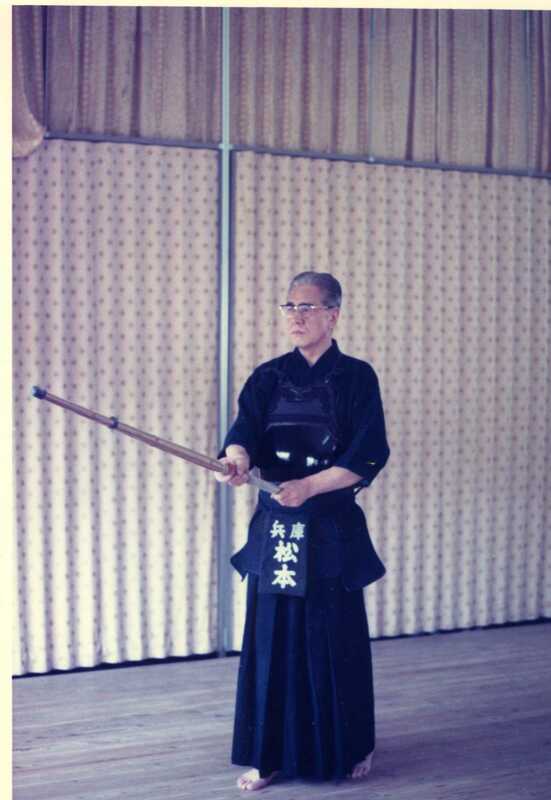 To vastly oversimplify, the requirement for Ikyu and shodan in kendo exams is to be able to demonstrate good technique with strong spirit and good posture. Nidan should do this with more understanding of timing and opportunity plus the ability to demonstrate renzoku waza. As we climb the grading ladder from there, the focus increases on the importance of making and taking the opportunity to strike. This is often slightly mystically explained along the lines of “you must strike when you see an opportunity and you must not strike when there is no opportunity”. Unfortunately in kendo, like most other facets of life, opportunities do not just happen; you have to make them. The way we do this is with seme, either pushing through your opponents guard with your own stronger physical and mental kamae, or by creating and breaking your own pressure to draw him into distance with hikidasu. By doing so, we proactively create the chance to strike. This is half the battle. The other half is being able to launch yourself to strike as soon as you make the opportunity. To make this happen, your left foot must be continually drawn up to the correct position with a feeling of pressure in the ball of the foot and tension at the back of the left knee. Your posture must be perpendicular with just a slight inclination forward, so that you can move smoothly forward as you push with your left foot. As you do so, you simply raise the shinai and strike the target in a timing of one. If your balance or footwork is incorrect then you will have to adjust your posture before you strike, by then your opponent will have recovered his defence and the moment will have passed. If you passed on Saturday my warmest congratulations, if you didn’t it’s time to do some more work on seme and attack. I had a Eureka moment this week about the importance of good kamae. Of course we know that kamae, footwork, breathing, timing, distance and cutting action are all interdependent and equally important, but sometimes we forget that kamae not only determines how easy we are to hit but it also promotes or inhibits our ability to strike correctly. We were using a number of drills to work on men-uchi, trying at first to make big correct kihon men attacks and then through a succession of different approaches and timing to make small, sharp men attacks. This is not an easy task as it is essential to stay relaxed, to modify your footwork so it is in time with the smaller striking action and to use the balance of both hands in the strike and tenouchi. I am aware that many people in the earlier stages of their kendo career fall into the habit of leaving their left hand in place and making small attacks almost exclusively with their right hand, which forces them to use a pushing motion with the right arm. This usually results in an inaccurate strike, which often slips off the target. So if I am instructing I usually point out the importance of using the left hand, however small the technique. I noticed that one individual was doing something quite different, in that at the point of impact, he was pushing his left hand above his right hand. When he hit the target the strike was weak. We tried a few things, adjusting the position of hands and arms which worked momentarily, but he kept returning to the same cutting action. As we proceeded through the drills, I noticed that his kamae was particularly low, with his left arm extended straight down and the left hand directly in front of the tare. After I pointed this out, we spent a few moments adjusting his kamae, so that the left hand was in line with his navel. We made sure that his shoulders and elbows were relaxed and that his grip was light and hands were in the correct position and then, when he tried to hit men he was able to make an accurate sharp strike. Thinking about this after, it occurred to me that I was attempting to do what Matsumoto sensei had done with me. Obviously my efforts were not nearly as skilled, but going through this process made me think about how keiko with sensei had consisted of him spending a long period of time adjusting my kamae before commanding me to make one single men strike and that was it, game over. Obviously his point was “you are only going to succeed if you start from the correct position”. Several people picked up on the fact and commented that dropping the shinai point can in fact be a very effective way to make an opening in your opponents’ kamae, thereby giving you the opportunity to attack successfully. I agree one hundred percent. My last post was about the problem of inadvertently dropping your kensen because of either incorrect posture or too much tension in the way the shinai is held. Kensen is of course moveable and the kissaki should not be fixed when you face your opponent. Many teachers talk about moving the kensen in a triangle from your adversaries’ throat to his dou mune to his left eye. By doing this you can encourage him or her to move in various ways. Dropping the point can encourage an attack to men or kote which gives the opportunity for debana or oji waza, but be aware that your tsuki is also exposed and that you become a target for uchiotoshi men. Move the point up to your opponent’s left eye and he sees an opening for men, giving you the chance to take debana men or kaeshi dou. Aim at his right eye and he sees your kote and you may get the chance for kote nuki men or kote suriage men. It is all about making your opponent move, and as we have talked about before, there are two fundamental ways to do this. We either push in and take his centre, or we make him come to us and take away the initiative. 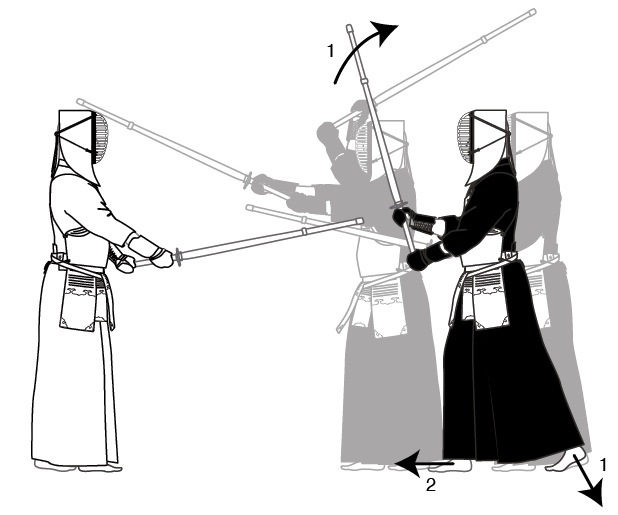 This second approach is referred to in kendo as hikidashi (drawing out). Kamae like most things in kendo is taught to us in simplified form at the early stages of our learning process. 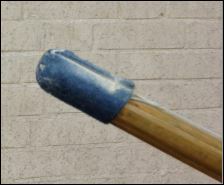 Of course it is easier to think about pointing your shinai at the nodo than being given a variety of choices, but once our kamae becomes established, we can experiment with the areas at which we point the shinai and learn how by doing so, we encourage our opponent to move or discourage him from moving. Kendo no kata teaches us a lot about kamae, and though we rarely use gedan-kamae, hasso-kamae and waki-kamae in shinai kendo, practising them in kata gives us a great lesson in flexibility and adaptability. Gohon me in the Tachi no Kata gives us a text book lesson in how to combat Jodan. Point to the kobushi and make him move. So, sorry for any confusion last week, what I meant was don’t unintentionally signal your next move through the point of you shinai. On the other hand you should use every trick in the book to make your opponent move. Many accomplished kenshi lose the opportunity to attack by dropping the point of their shinai as they make seme. I regularly experience situations where my opponent steps in with strong seme and takes control of my centre only to drop his kensen prior to making an attack, in the process allowing me to regain control of the centre. Moving the point downwards often causes the attacker to lean forward so that their balance is on the right foot. If this happens he needs to readjust his posture so that there is sufficient pressure between the left foot and the floor to be able to push off and launch his attack. Dropping the point also alerts his opponent that he is about to move. It is almost tantamount to announcing “here I come”. To repair this fault you have to relax and to focus your energy forward rather than down. To achieve this you need to go for overkill and think about making upward pressure. There are many ways to do this. You can imagine that you are pushing towards your opponent’s eye by angling your navel upwards as you step forward. You can also think about an imaginary string pulling the top of your head upwards; almost like a marionette being pulled up by a puppeteer. Holding the shinai incorrectly is another reason why the point drops as you make your approach. If your grip is too tight, any tension in your body will result in the point either dropping or raising as you step forward. Your hands should of course be relaxed and you should grip the shinai lightly as we have discussed in previous posts. In a perfect world the transition between stepping in to take the centre should be seamless and any unnecessary movement that signals intention should be avoided. Successful attacks in kendo depend on sharp footwork and light, relaxed kamae. The explosion on striking should come from good fumikomi, kiai and tenouchi and not upper body strength.